One dog has died and another has become critically ill since the beginning of April, apparently as a result of eating “destroying angel” mushrooms. Veterinarian Beverly Holmes, of La Cumbre Animal Hospital, announced the toxicology results on April 27, warning pet owners to keep an eye out for the pure white, frilly fungi – Latin name Amanita phalloides – and associated species, which grows near trees and shrubs. 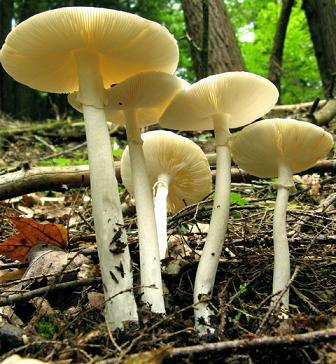 The destroying angel is among the most toxic of mushrooms: one bite of the cap is enough to kill a healthy adult. The victims were both Labrador retreivers, one from Hope Ranch and one from the La Cumbre neighborhood.